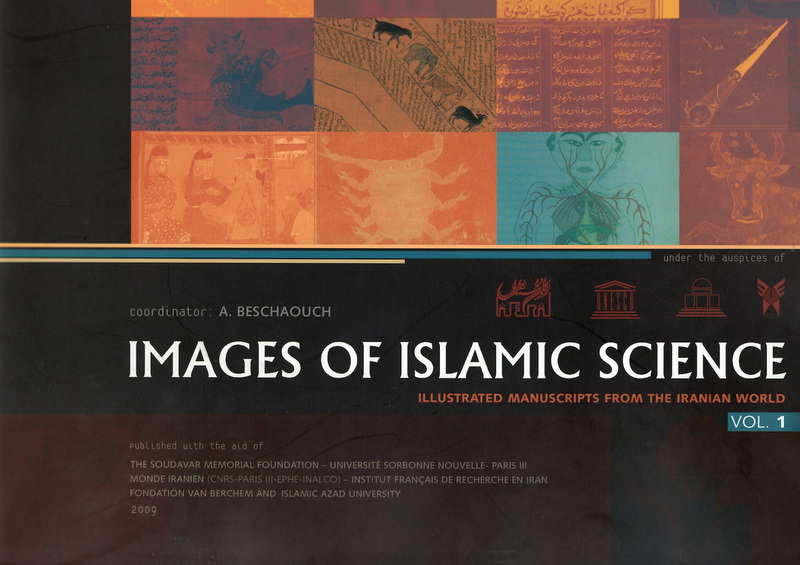 his is the first volume of a UNESCO project published under the auspices of Institut Français de Recherche en Iran, Fondation Max van Berchem and the Islamic Azad University, this volume has a dual purpose: to assemble reference materials on the illustration of scientific literature from the Iranian world in the Islamic period, and to do so mainly on the basis of scientific texts written in the Persian language. Both topics, which remain little studied to this day are of great importance in the Iranian context, because the Iranian world favoured, principally through court patronage, the development of illustration, as well as the use of its own literary language, Persian, alongside Arabic in the field of science. The scientific achievements of pre-Islamic Iran, which were written in Middle Persian and are no long extant, were integrated, through Arabic translations, into Islamic science during the first centuries of the Islamic empire. During this period, the vernacular language of Iran developed into a literary language, and the first written texts in New Persian, including those in verse, appeared in the tenth century. A mark of royal prestige in all periods of Iranian history, the patronage of the book may have been partly responsible for the fact that texts written or adapted by Iranian authors were among the most frequently illustrated copies in the Islamic world. It was undoubtedly the high esteem in which the art of the book was held in Iran, coupled with the intellectual curiosity of the ruling elites about the newly-translated works of science, which was responsible for the many beautiful copies that were made in Iran of translations of foreign texts such as those of Dioscorides. The criteria that determined the choice of Arabic and Persian manuscripts to be included in this book are roughly the same as those that define the notion of the Iranian world itself. This notion covers the geopolitical territory that was considered as Iranian in history. Although this necessarily fluctuated and changed at various period, it was centred on the Iranian plateau, which corresponds roughly to modern-day Iran. At the same time, the notion of the Iranian world includes those territories where Iranian languages were and are spoken, including the diasporas in history. These two aspects together correspond to the Iranian world in a broad sense, which includes Iran, Afghanistan, Uzbekistan, Tajikistan, Turkmenistan, and parts of Azerbaijan, Armenia and Georgia. Consequently, this book includes systematic references to: a) scientific activities that took place on the territory of ‘greater Iran’ at a given historical period; b) to copies of Arabic and Persian manuscripts that were made on that territory, as well as to all Persian manuscripts executed in the field, irrespective of territory; c) to texts written in Arabic and Persian by authors of Iranian origin, irrespective of the place where they were written and copied, and, in addition, to all Persian texts composed in the field, irrespective of the author’s origins.